Something that is unchanging or invariable. For Seattle's Moneta, the only constant has been the dedication and passion for the music. Since formation in late 2007, the band has weathered member changes, illness, personal struggles, record label shakeups, and finding a way to stay relevant into the growing void of the once plentiful (now declining) music industry. 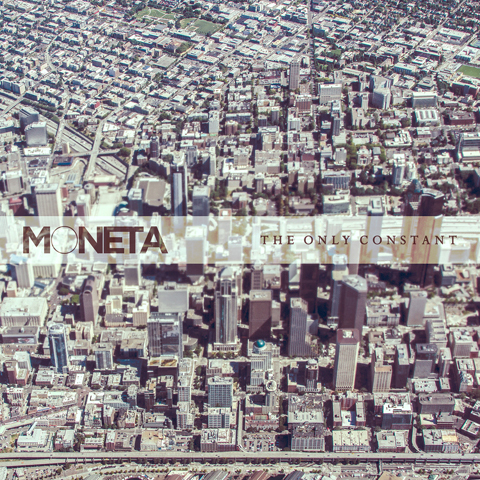 Aptly titled, "The Only Constant," Moneta's latest album presents the boldest move yet from a band so steadfast in purpose. The band's trademark pop hooks are still evident, but their sound has definitely matured into mainstream rock anthems. "We wanted to create something timeless not only for our fans, but for ourselves as well" says drummer, Leo Martin. This time around, the band enlisted the services of acclaimed producer Jim Wirt (No Doubt, Incubus, Jack's Mannequin) to helm the console at the famed Robert Lang Studios in Seattle. Lead singer, Jordan Thompson, having worked with Jim before, helped make the connection. "We knew that by bringing Jim in to work with us at Lang's that we'd have the potential to capture something great, and I really think that we did," says Thompson. The new album was narrowed down to the 14 strongest cuts and the band got to work in the summer of 2013 at Robert Lang. "After Jim was done, we wanted to turn the record over to an objective set of ears that wasn't there for the whole process" Martin adds. "We wanted someone to be able to take the best parts of what we'd laid down and make them shine without bias." 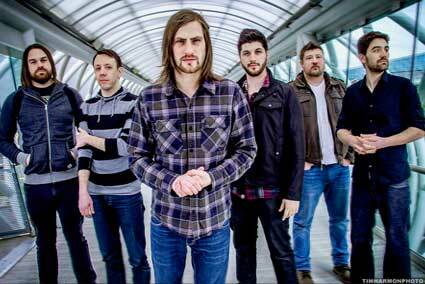 After a lengthy search, the band settled on Casey Bates (Pierce The Veil, Memphis May Fire, Portugal. The Man) to mix the album. Guitarist and main songwriter Michael Rapson says "Casey's track record and skill level were exactly what we needed to complete this record." With a powerful new modern rock record in hand, the future of Moneta seems uncertain, but promising. With sweeping changes throughout the music industry in the internet generation, it seems like it's only going to get worse before it gets better. But there are some bright, hopeful spots. Fellow locals like Macklemore have blazed the trail for a new age of successful independent artists. One thing you count on, though, is that Moneta will persist.